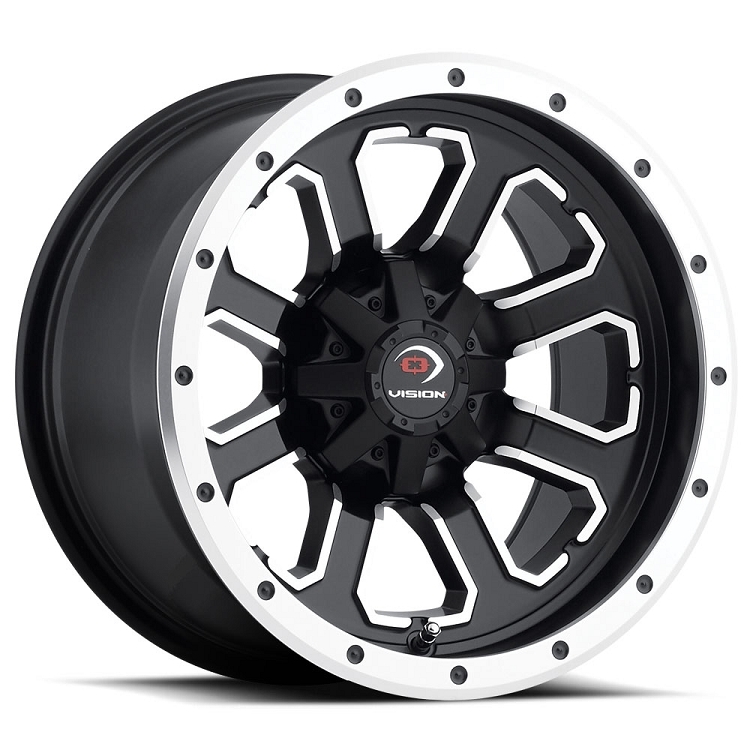 The 14 inch 548 Commander by Vision is another excellent rim that we've come to expect from Vision. It features a spoked design with machined accents and a machined lip. The Commander is offered in most common bolt patterns to fit almost any ATV or side by side out there. Vision makes excellent rims and they offer a lifetime structural warranty on them as well. Deck out your rig with a sweet new set of Vision wheels today! First off, Pure Off Road is a GREAT place to do business! The fast shipping, great prices, & friendly staff make them a pleasure to do business with. The wheels are great, nice machining, good offset-good stance, lightweight. A: The offset on their 12x8 and 14x8 wheels is 4+4. 4 inches behind your hub, 4 inches in front of your hub. This is also called a 0 offset because the wheel hub is dead center. BSM stands for Back Space Measurement. Let me know if you have any other Q's. Q: What kind of lug nuts do these wheels take, tapered or flat? What size hole are in the wheels and what size lug nut wrench? What centers the wheels on the 10mm studs? A: The holes are tapered. The holes are big enough for 12mm studs. 14mm lug nut wrench. The tapered lug nuts center it. Q: I have a 2008 can am outlander max xt. Front tire is 26x8x12 rear is 26x10x12. Will these wheels work with sunf a033 12 ply?